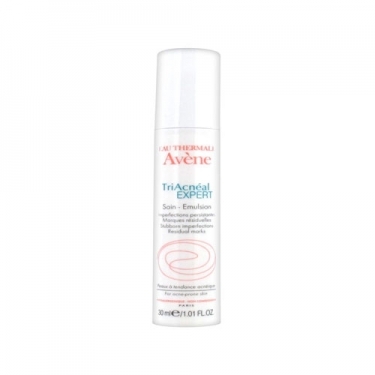 DESCRIPTION: Cleanance TriAcnéal EXPERT from Avène is a care anti imperfections and residual marks on adult skin. Formulated with Diolényl X-Pressin Retinal, reduces the redness and the risk of bacterial infections and helps to eliminate bubbles and black spots while attenuates residual marks. 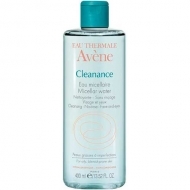 Enriched with Avène Thermal Spa Water, known for its soothing property. Of unctuous texture, easy to apply and quickly absorbed. The skin is hydrated and comfortable. Hypoallergenic and non-comedogenic. The clinical efficacy of TriAcnéal expert was proven under dermatological control *: Immediately after use, the skin is soft, moisturized and comfortable. After 6 weeks of use, TriAcnéal EXPERT significantly reduces the number of pimples and black spots (-45,3%) and the appearance of residual blemishes (70% efficiency). * 20 adult women with acneic skin. 1 application per day, at night, all over the face, for 6 weeks. Apply at night, evenly on clean face. Avoid the area around the eyes and lips. It is recommended to limit sun exposure during treatment. If there is exposure, use a high sunscreen.